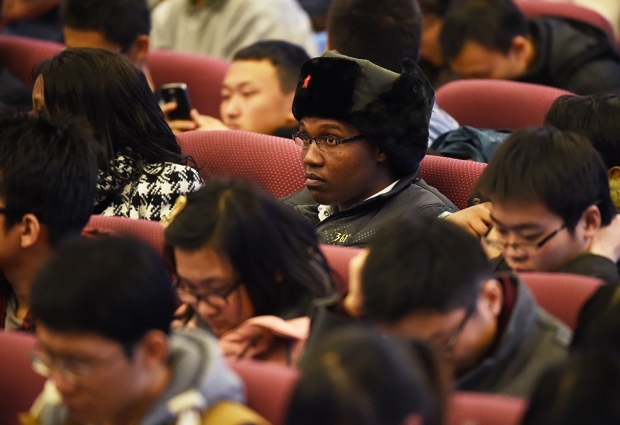 A South African student waits for the arrival of South African President Jacob Zuma for a speech at Tsinghua University in Beijing. South Africa is emerging as one of China’s most important international partners as the relationship deepens across all levels. Economically, South Africa is the source of more Chinese investment than any other country on the continent. However, this relationship extends far beyond just investment. In education, diplomacy, and finance, the two countries’ ruling parties are all broadening their ties with one another. Kemo Bosielo, a South African Masters candidate at the prestigious Tsinghua University in Beijing, joins Eric and Cobus to discuss the unique aspects of this increasingly important geopolitical relationship.